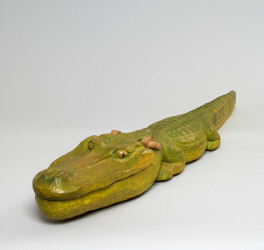 Crafts Council Purchase Information Sheet completed by Howard Raybould for his carved crocodile (W35). 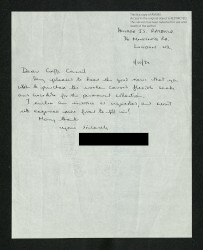 Responses handwritten in blue and black ink. Signed and dated October 1980.